Who doesn't love slow cooked food? It's got so much flavour and if it has meat in it, well that is so tender. What's not to love? Last year we got to review the Wonderbag, and I was introduced to slow cooking (yes, I know its been around forever but I wasn't keen on having a meal cooking with electricity when I wasn't around). This Wonderbag is for use at home and away because it needs no power. None. Put the Wonderbag the back of the car or ute, caravan or boat. When everyone is bringing out cold sandwiches at a picnic, you can bring out a slow cooked meal, such as a chocolate dip, a hearty nutritious curry or spicy Chilli Con Carne (my personal fave). You really, really, need to read our Wonderbag review to really grasp the concept on how it all works. 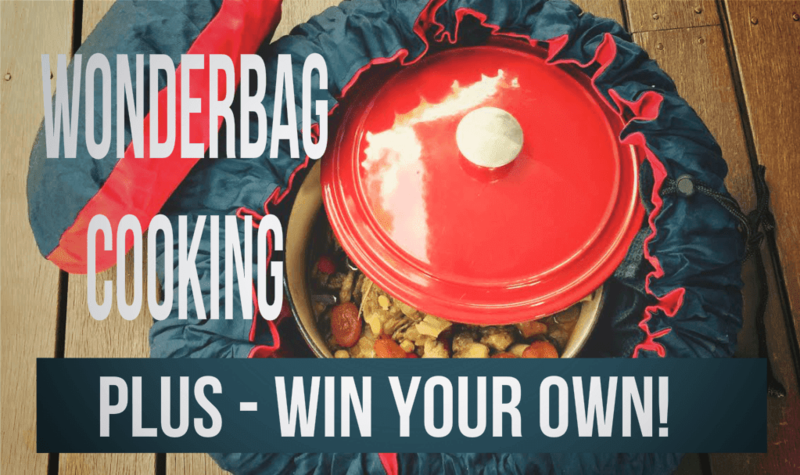 Being a newbie to slow cooking, I needed some (family friendly) inspiration from the Wonderbag gurus, and luckily Billycan Store (provider of our Wonderbag) came to the rescue. Because rice uses up precious fuel. The chopping and prep work is all done at home. It's a hearty meal that's not too spicy for the fussy eaters. 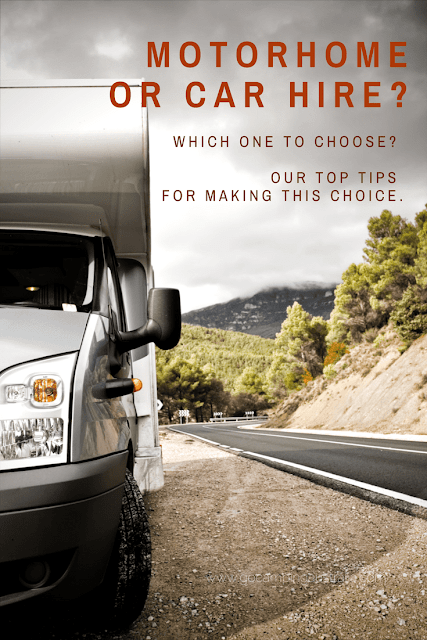 Caravan owners might find this handy to cook at one location, and serve at another. In a 4L pot, heat 1 Tbsp of olive oil. Add the chicken and cook for approximately 10 minutes until browned. Add the onion and cook for a further 5 minutes until golden. Stir in 2 Tbsp of curry powder until all the chicken is well coated. Add the rice and chicken stock, mixing well to combine. Bring to a boil, cover, reduce heat and simmer for 15 minutes, stirring occasionally to prevent any ingredients catching on the base of the pan. Place the lidded pot into your Wonderbag and seal for 4 hours. Stir in the corinader and season to taste. 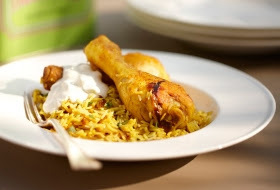 Serve with plain yogurt or raita to spoon over. If you are prepared, you may want to add over the chicken and yogurt, some chopped tomatoes/extra coriander and toasted almonds. That combination gives a freshness to this recipe. 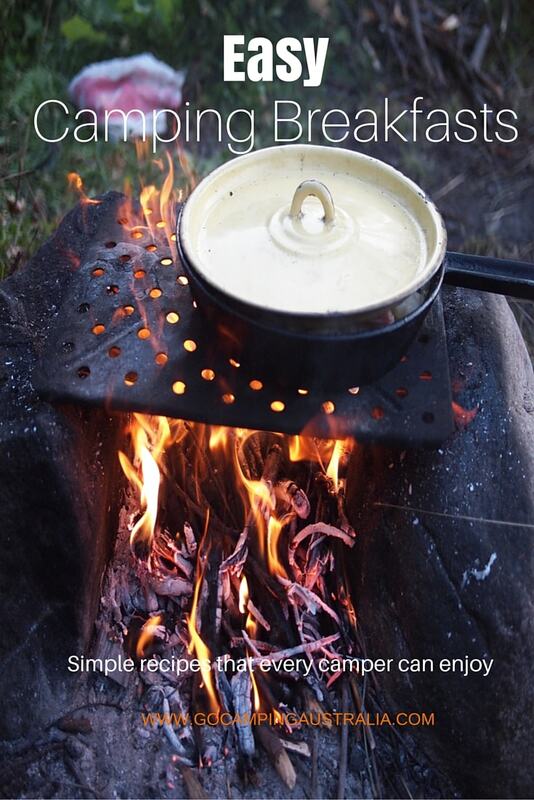 Why this is great for camping: Because its hot chocolate. And a dessert. 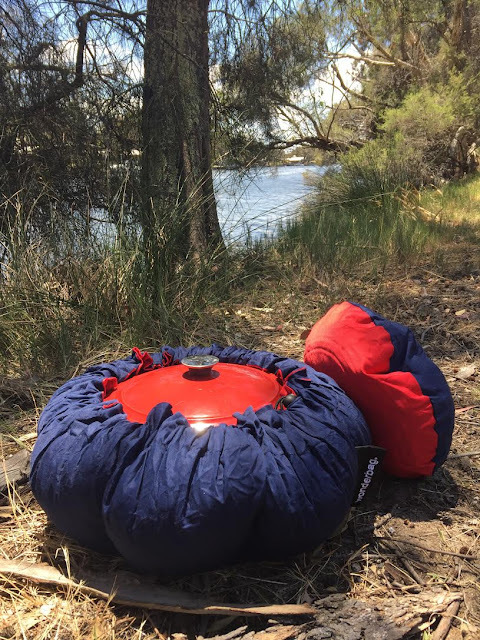 Also this could be done on a camping stove top initially, and then popped in the Wonderbag and forgotten about until its time to serve. Add the heavy cream to a medium pot over medium-high heat. Once the cream begins to bubble, add the chocolate and continuously stir until melted. Add the vanilla and sea salt, and keep stirring. Once the chocolate is smooth and bubbling, cover the pot, remove from the heat, place in the Wonderbag and close. Slow cook in the bag for 1 to 3 hours. 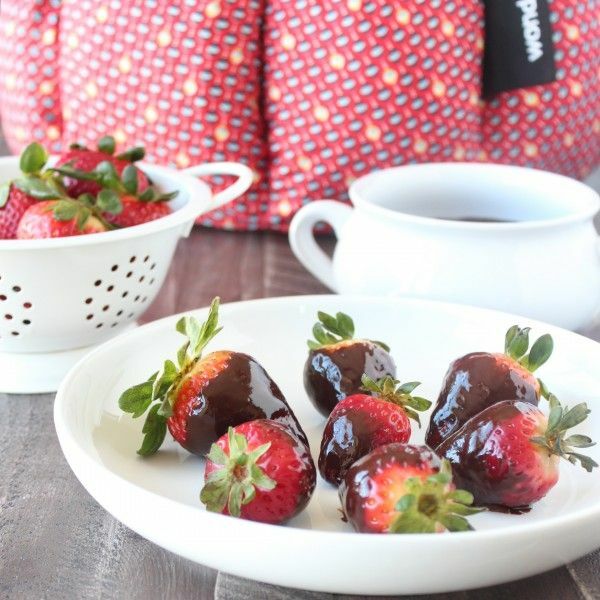 To Serve: Remove from the Wonderbag and dip strawberries, fruit, pretzels, or even cooked bacon into the chocolate dip. Inspired? Here's your chance to win a Wonderbag! Those 2 recipes are just a sample of what you can do with your Wonderbag. Slow cooking just got safer, cheaper and more portable. If this sounds like something you would like to own, then you must enter the giveaway below. 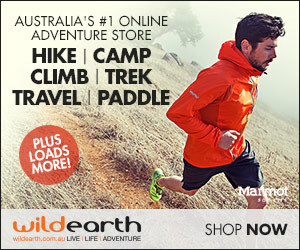 You can win your own Wonderbag - a toughened one for the outdoorsy people amongst us. The picture below gives you an idea what it looks like. 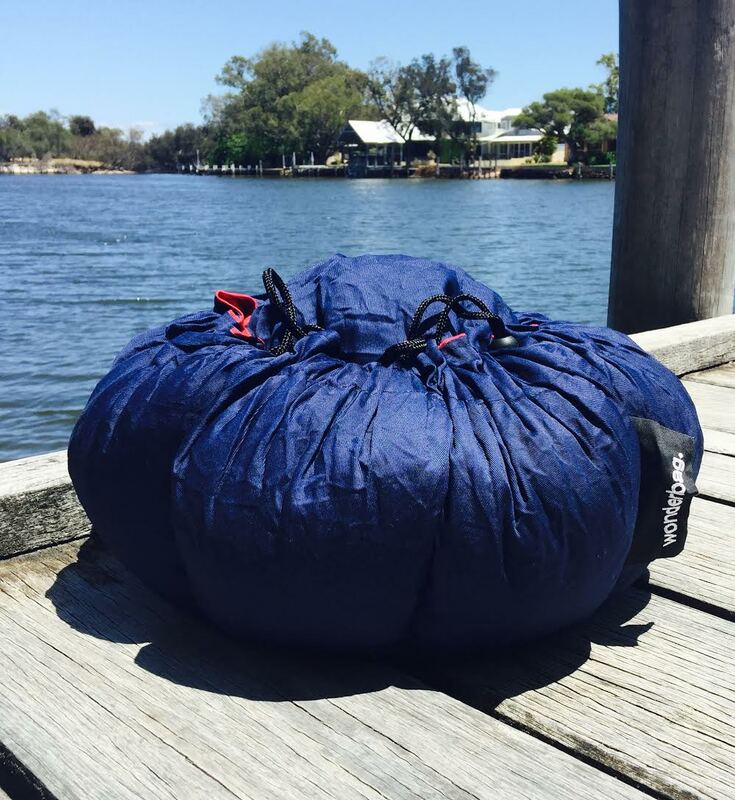 To find out more about the Wonderbag (or buying one for yourself), then you need to visit Billycan Store today! Just follow the steps below. The competition is open till February 27th 2016 with the winner notified via email. Australian residents only. Billycan Store will provide the winner with a new Wonderbag valued at $95.